Adjacent to Summer House Santa Monica is Stella Barra Pizzeria, a pizza concept that chef Jeff Mahin started in Southern California. The 120-seat restaurant serves the signature pies along with new dishes unique to the Chicago location. Stella Barra Pizzeria, 1954 N. Halsted St., Chicago, IL 60614, 773-634-4100. Celebrity chef Art Smith, owner of Table Fifty-Two and Art and Soul, former personal chef to Oprah Winfrey and "Top Chef Masters" participant, joins forces with chef Tal Ronnen, vegan chef to VIPs and author of The Conscious Cook, to launch LYFE Kitchen in River North. The restaurant features fast, healthful, nourishing fare, with no dish containing more than 600 calories (no butter, cream, additives or preservatives) and prices topping out at around $13. Menus cater to meat eaters as well as vegans and most special diets, including gluten free. LYFE stands for "love your food every day." Breakfast, Lunch & Dinner daily. LYFE Kitchen, 413 N. Clark St., Chicago, IL 60654, 312-836-5933. Shin Thompson (Bonsoiree) and Ryan O'Donnell (Gemini Bistro, Rustic House) are behind Japanese brasserie Kabocha. It serves Thompson's beloved "Duck, Duck, Goose" as well as steamed braised rabbit dumplings. Kabocha, 952 W. Lake St., Chicago, IL 60607, 312-666-6214. Summer House Santa Monica is a culinary collaboration from chef/partner Jeff Mahin (Stella Barra Pizzeria and M Street Kitchen in Southern California, Do-Rite Donuts & Coffee in Chicago), Lettuce Entertain You Enterprises and chef/partner Francis Brennan (formerly of L2O). The menu offers California-inspired fare such as fish tacos with guacamole, fennel slaw and salsa verde. Summer House Santa Monica, 1954 N. Halsted St., Chicago, IL 60614, 773-634-4100. Chef Grant Achatz has announced the upcoming menus for Next Restaurant. The early 2014 menu is themed around "Chicago Steak" with high-quality dry-aged beef. A modern Chinese menu will be created in May, followed by "Trio 2004" in September that revisits a menu chef Achatz served in January 2004 that helped lead to the creation of Alinea. Next Restaurant, 953 W. Fulton St., Chicago, IL 60607, http://www.nextrestaurant.com. Café des Architectes will offer a three-course prix-fixe menu for Thanksgiving. Options will include black truffle risotto; turkey breast with cornbread stuffing, roasted brussels sprouts and chorizo jus; and pumpkin verrine with caramel corn, Bourbon and sweet cream. The cost is $65 per adult and $19 for children under 12 (tax and gratuity excluded). Thanksgiving dinner will be served from 11 a.m. to 11 p.m. For reservations, please call 312-324-4063. Café des Architectes, Sofitel Chicago Water Tower, 20 E. Chestnut St., Chicago, IL 60611, 312-324-4000. 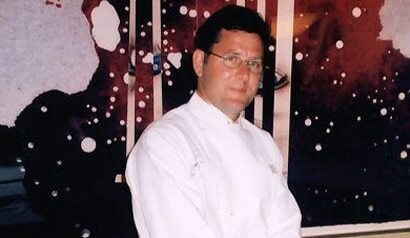 Sprout, Lincoln Park's French-American hybrid that had "Top Chef" chef-testant Dale Levitski at the helm, has closed. Sprout, 1417 W. Fullerton Ave., Chicago, IL 60614, no phone.